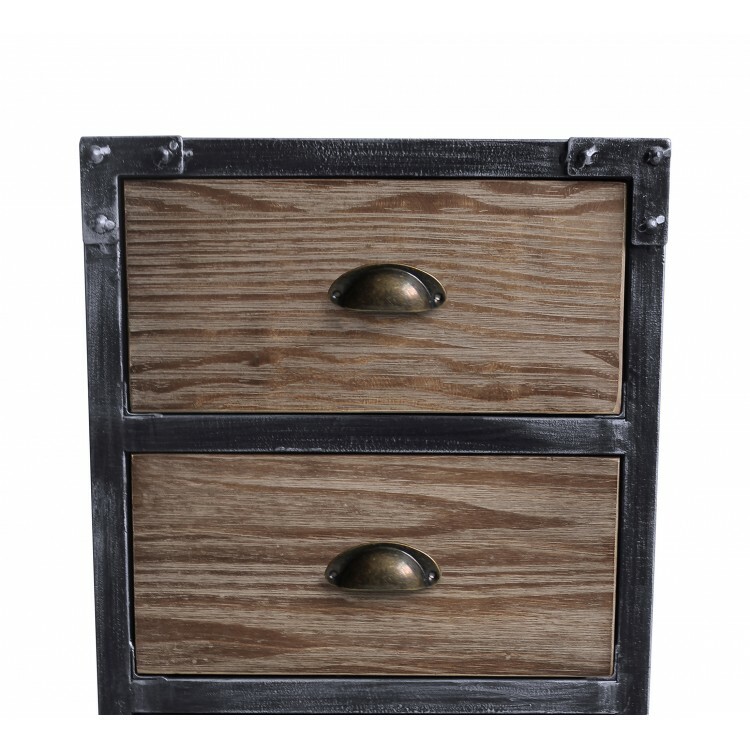 The Armen Living Nix industrial 3 drawer end table is an essential piece, certain to enhance the style of any contemporary household. 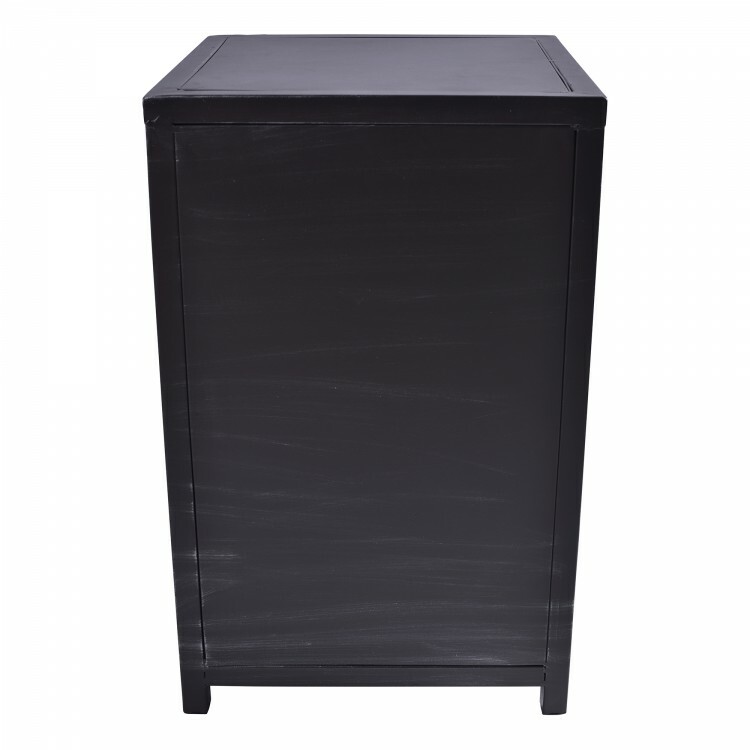 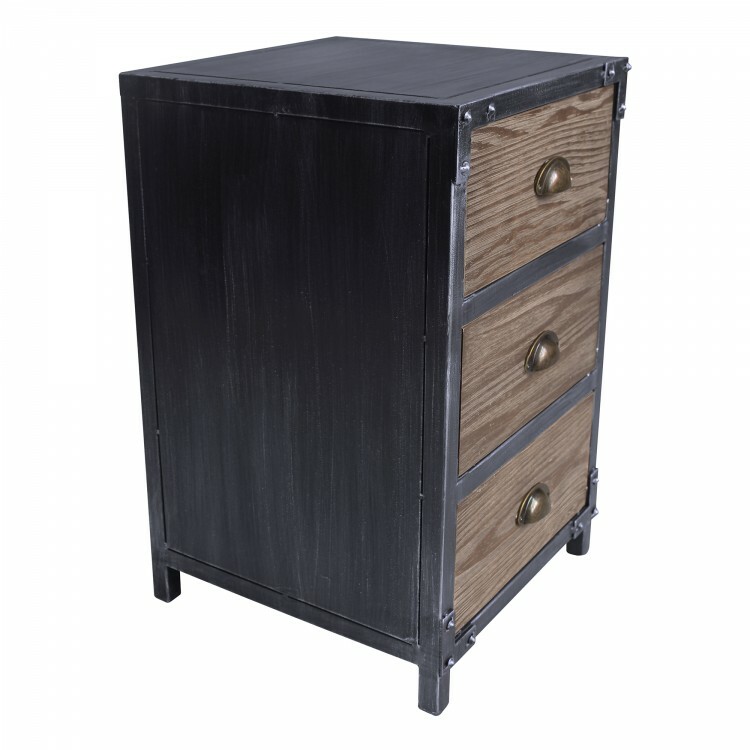 This stylish modern end table boasts an impressive Industrial Grey finish metal frame and durable pine wood drawers. 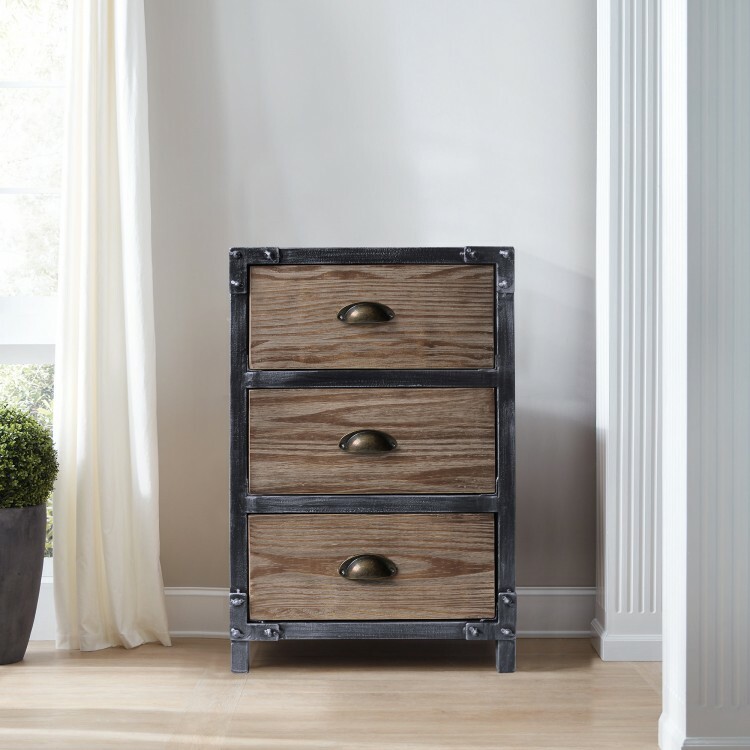 The three drawer design provides ample storage room, while the traditional appearance of the Nix allows for a wide variety of furnishing options around the home. 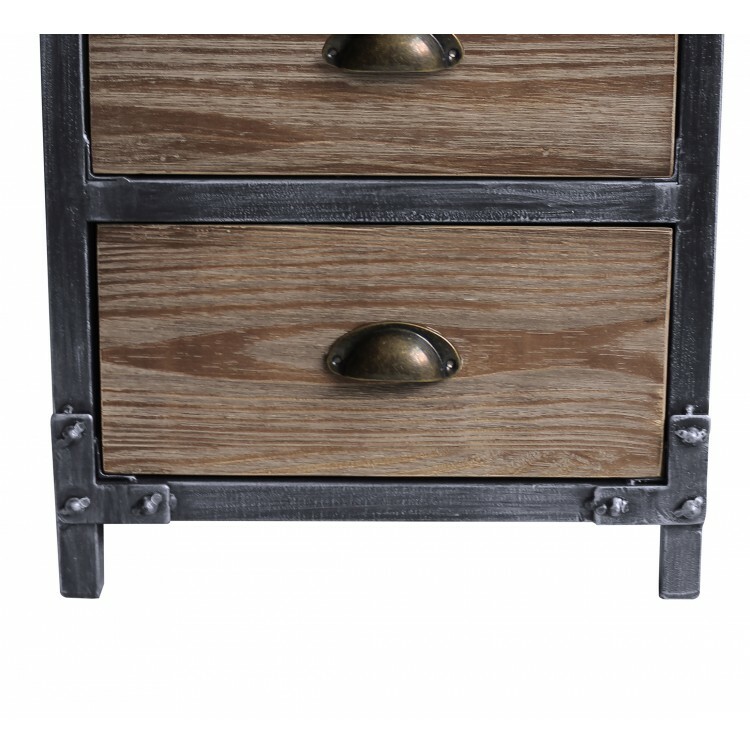 The Nix’s ornate leg design complements the durable drawer handles perfectly without detracting from the end table’s stability. 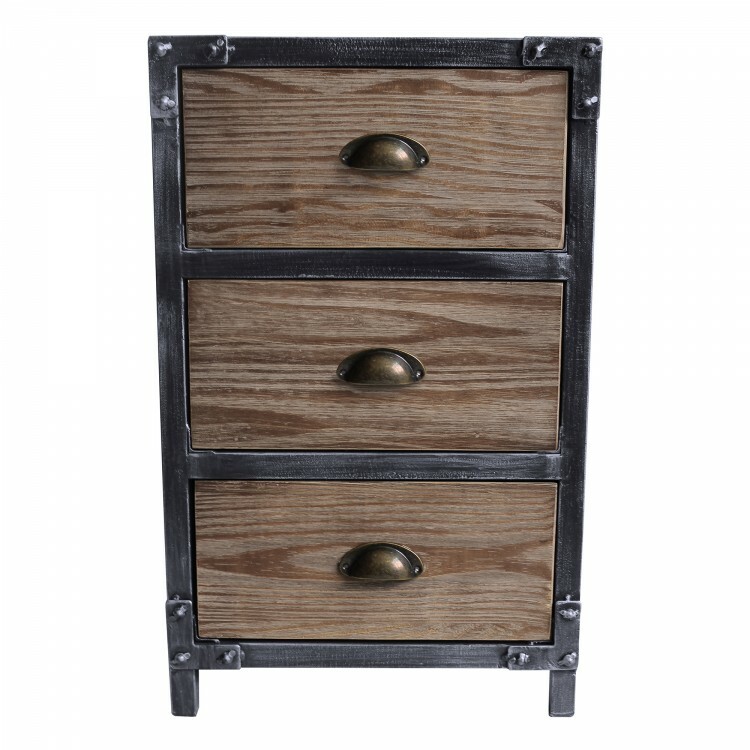 The Nix is perfect when paired with any Armen Living bed or other pieces of furniture. 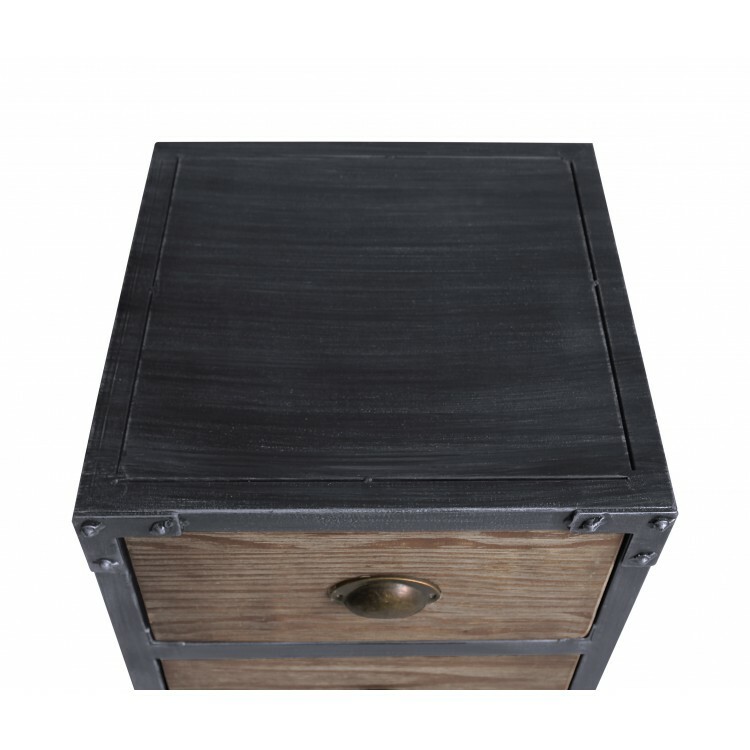 The Nix end table comes assembled.